Inventory control in restaurants is vast but sadly one of the most unoptimized areas in the restaurant industry. 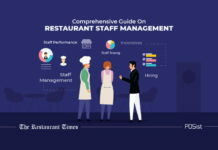 When we talk of optimizing restaurant operations through technology, there is rarely any talk of optimizing the way restaurant inventory is managed. Given the fact that inventory is the backbone of a restaurant offering, this is a paradox that needs to be solved. Given the market competition in UAE, you must think that inventory control is supposed to take a backseat. After all, issues like customer retention and increasing competition that plague the industry on a regular basis must be given first-hand attention. What we forget in this thought process is that optimizing inventory management is a one-time affair and frees up resources which can be invested in solving issues pertaining to customer management and retention. 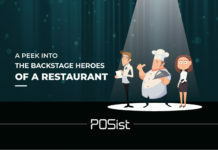 In fact, managing your inventory through your POS software will even give you insights into your customer behavior, enabling you to streamline other restaurant processes according to the changing trends in Emirates. In this article, we will discuss why inventory control is a must and how an integrated POS software can ensure it. As mentioned earlier, inventory is the backbone of your restaurant business. The quality and taste of your meals are dependent on how well your inventory is managed. Even the availability of dishes in your restaurant will be dictated by the availability of raw materials. 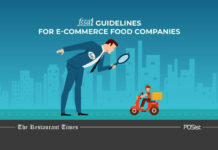 Monitoring the availability of ingredients, how they are stocked and how their quality is maintained is all a part of inventory control. Thus, inventory control plays an integral role in maintaining the quality of the food that you serve. Streamlining your inventory management will free up resources, both human and monetary. With automated inventory control, you will need fewer employees to handle inventory count and manage stock. Not only will you be able to make better use of your human capital which you can now put on the front-end, but you will need to hire fewer employees. Emirates are not to keen on working in the restaurant space. 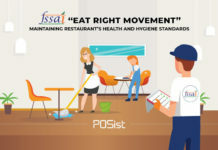 The result of this is that most labor employed in the restaurant industry of UAE is foreign, hired through expensive and time-consuming processes. Employing a POS integrated inventory management software would reduce the need for manual labor; thus saving you both time and money. The money will also not just be saved on the hiring front. As fewer employees are hired, a less amount of salary is given which means that expenses are cut and profit increases. 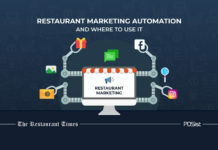 The extra money now can be invested in marketing the restaurant, streamlining front-end operations or managing customer relations. A POS integrated inventory management software will also provide you with detailed reports of where the inventory is being used. This means that you will understand how much of your inventory goes in which dish, is the ROI worth it, do you need to optimize some recipe or is a dish costing you more money than it is making you? All this information will allow you to make necessary data-driven decisions. This data can be useful in planning promotional campaigns, deciding what to keep on the menu and what to remove, deciding if you need to increase or decrease the supply of a raw material or if you do not need an ingredient at all. Once you have calculated numbers before you, you can take these decisions with ease. These are some advantages of having a POS integrated inventory control system. 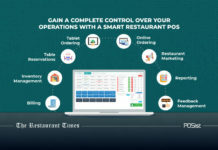 Now coming to how an integrated restaurant POS software can ensure a complete inventory control for your outlet, read ahead. 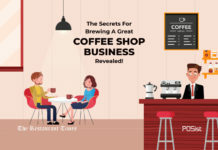 Now that it has been established why restaurant inventory control is important, the next part is to know how you can achieve a complete inventory control through your restaurant POS. With a POs integrated inventory management software, you can track your stock in real time. This means that you will know exactly how much raw material you have, at any point in the day, from anywhere in the world. The feature will allow you to keep track of inventory being used and let you understand the consumption patterns of dishes through the day. 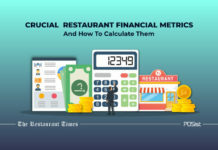 Since the count is live, you will also be able to monitor which ingredients are running low and change the upselling strategy in your restaurant accordingly. Thus your front-end will become more adaptive based on the condition of the back-end. 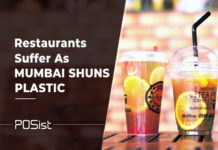 This will add to customer satisfaction as well since you will not lose a customer solely because you could not inform them that a certain dish in unavailable in time. When working in a restaurant, some levels of wastage are expected. But how would you know when the wastage has begun costing you? When you use your restaurant POS for inventory control, you can achieve variance control as well. 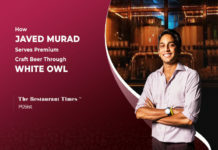 Hence you will be able to track your wastage, yield per plate and the possibility of internal theft. Once you know the reason behind any mismatch between your stock and sales data, you can work to eliminate the problem. Hence, a ‘POS Integrated Inventory Management Software’ will reveal exactly what you need to optimize. If real-time inventory tracking will allow you to look at your outlet’s live inventory count, stock in and stock out feature will allow you to understand it at the end of the day by giving you details of your opening stock and closing stock. When this feature is integrated with your restaurant POS, it means that you can compare this number with your sales and variance and revise the amount of stock you ideally need to order. An integrated restaurant POS software ensures complete inventory control by not just managing inventory, but by managing vendors as well. You can feed your vendor details into your POS, along with the amount of stock to be ordered and the stock level to be maintained. As soon as some ingredient hits the lowest set point, the POS software will automatically place the order for reimbursement. This feature will allow save you manual labor and allow you to shift your focus towards streamlining other operations. Finally, A POS integrated inventory management software will give you detailed reports regarding your inventory. You will know exactly how much inventory has been used, in which dishes, at what times of the day, etc. 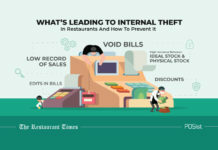 Apart from this, you will also be able to understand your variance and wastage and deduce if there has been some internal theft in your outlet. 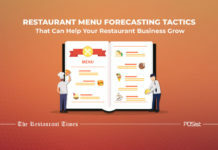 Such comprehensive reports will allow you to make informed decisions regarding different strategies that you must follow in order to streamline your restaurant operations. Inventory control is a hidden secret to restaurant success. While everyone talks of streamlining various line operations or investing in customer retention, inventory management goes unnoticed. 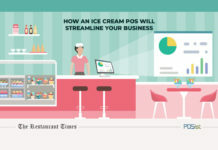 But if optimized correctly, using an integrated POS technology, your inventory control can boost your restaurant business. To know where to start your Inventory Software Management hunt, click here.